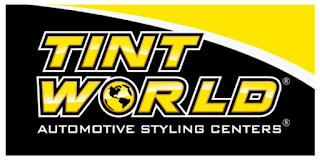 BOCA RATON, FL., Nov. 30, 2018 /Prexly/ — Tint World® Automotive Styling Centers™, a leading auto accessory and window tinting franchise, has promoted franchise operations manager John Marsh to vice president of store operations. Marsh has more than 20 years of automotive and 12-volt experience and broad, invaluable industry knowledge to support Tint World® franchise locations – especially in dealing with business operations, inventory control, manufacturers and customer service. John Marsh has been promoted to the role of vice president of store operations at Tint World(R) Automotive Styling Centers(TM). "John started his 12-volt career in the sound-off competition lanes of the mid-1990s and worked his way up in marketing, sales and product development before joining the Tint World® family in 2014," said Charles J. Bonfiglio, president and CEO of Tint World®. "He's been an invaluable asset and inspiration for many of our store owners, and in his new position, he will be able to provide an even higher level understanding of profitability for our franchisees." As vice president of store operations, Marsh will be responsible for closely managing the Tint World® home office operations team and supporting the company's more than 60 global franchise locations. "We have such a fantastic group of store owners, and my goal has always been – and will continue to be – making sure they have all the tools needed to be as successful and profitable as possible," Marsh said. "I look forward to spending more time with each of our franchisees individually to ensure leads are turning into sales and to support their overall growth."